The first step is to familiarize yourself with the Membership screen. You can get there by going to Memberium->Memberships in your WordPress menu. Once you’re on the screen, you’ll see a list of memberships you have, with the options to create new memberships, edit your existing memberships, or create new tags. To create a new membership, go to the Tag Builder Pro panel at the bottom of the Memberships screen. Memberium will automate creating your tags for you, so you don’t need to go into ActiveCampaign at all. 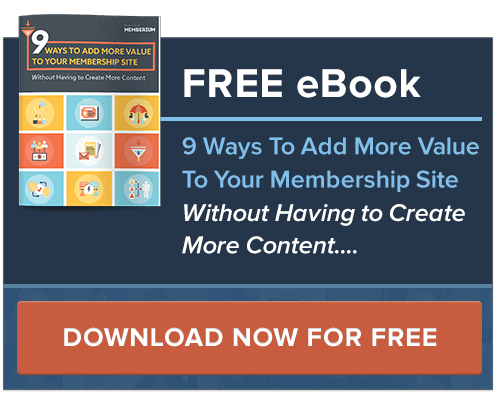 You’ll use the topmost input “Create Membership Level”. Select the Category to put the tags in. 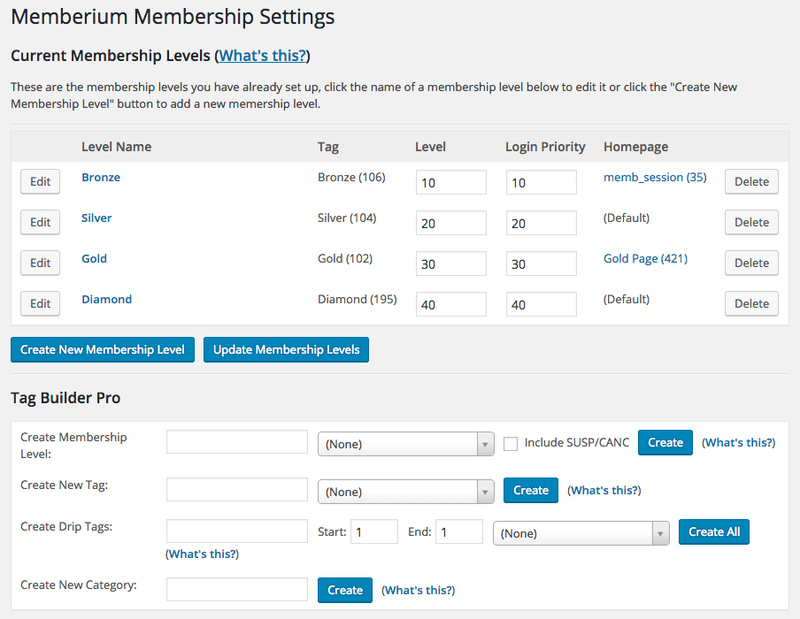 This will create your tags, and assign them to your new Membership level. 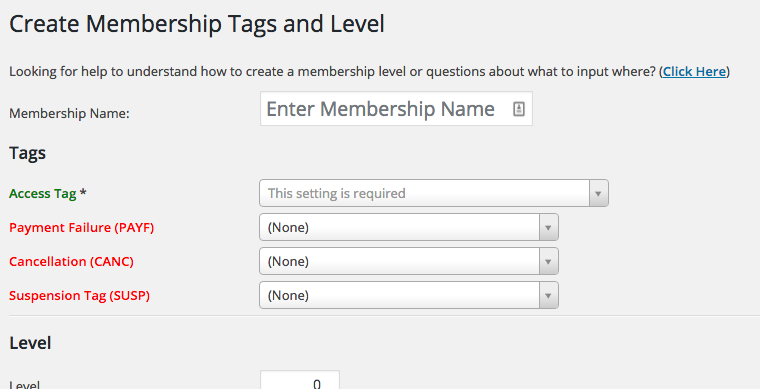 The automatically created tags will have the same name as your Membership level so that you can identify them easily. When the screen reloads you will see your new membership level at the top, ready to go. This will display the membership creation screen, with dropdowns so that you can pick which tags to use. Unlike older membership systems, you can use any tags you want for your membership levels and are not limited to pre-set names. Only the Membership Name and Access Tag are required. The rest are optional settings. The PAYF, SUSP and CANC and suspend tags are only needed if you are doing a subscription or payment plan membership level. If your clients pay once, you can skip these. You can also review the other settings. The settings have “What’s This?” help links next to them to explain what they do. Once you’re done, go ahead and click the [Create Membership Level] button at the bottom of the screen and save your new Level.